Poll: Arlington Can Now Rename Jefferson Davis Highway… Should We? 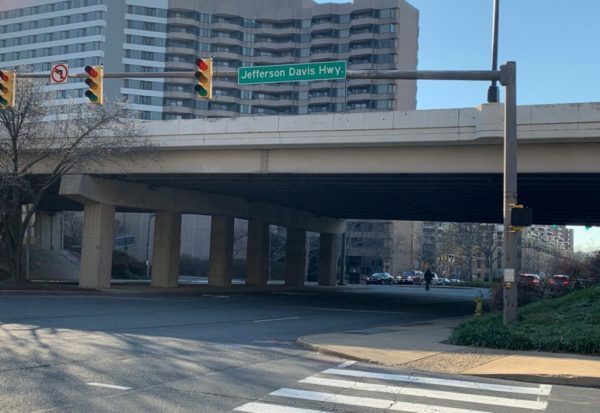 Late last week, a mini legal bombshell dropped: Virginia Attorney General Mark Herring issued an opinion that Arlington County can, in fact, initiate a renaming of Jefferson Davis Highway (Route 1) within its borders. After years of unsuccessfully pushing for state legislation to allow it, the Arlington County Board can now just go ahead and pick a new name for “J-D Highway” and ask the Commonwealth Transportation Board to make it so, bypassing the change-resistant General Assembly. Herring’s opinion came at the prompting of local state legislator Del. Mark Levine (D), who cheered Arlington’s newfound ability to request the removal of the Confederate leader’s name from the main thoroughfare through Crystal City and Pentagon City. County Board Chair Christian Dorsey told the Washington Post that he expects the Board to move forward with a renaming. So what should Route 1 now be called as it runs through Arlington? The obvious option is Richmond Highway: that’s what it’s already called in Alexandria and what Google Maps has unilaterally decided to label it as of January.